ARLINGTON, VA; Updated September 11, 2013 — PBS celebrates Hispanic Heritage Month 2013 with a landmark six-part series, LATINO AMERICANS, airing Tuesdays, September 17-October 1, 2013, 8:00-10:00 p.m. ET. 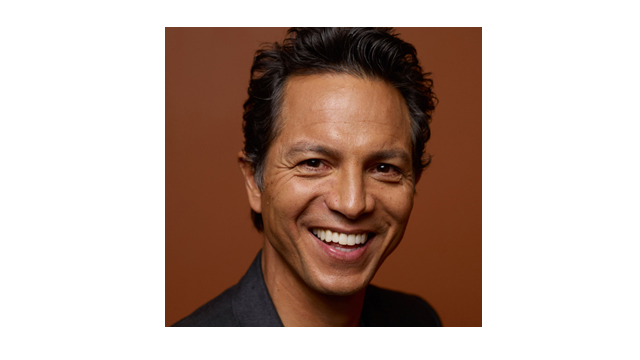 Actor Benjamin Bratt narrates this first major television documentary series to chronicle the rich and varied history of Latinos, who have for the past 500-plus years helped shape what is today the United States and have become the country’s largest minority group. The series will be broadcast nationally in Spanish on Vme, the Spanish-language channel on public television, on six consecutive Fridays beginning September 20. LATINO AMERICANS covers early settlement, conquest and immigration; tradition and reinvention; anguish and celebration; and the gradual construction of a new American identity that connects and empowers millions of people from diverse backgrounds. The series’ six chronological episodes encompass the 1500s to the present day. The programs feature interviews with participants from the worlds of arts, entertainment, journalism and politics: entertainer Rita Moreno, labor leader Dolores Huerta, author and commentator Linda Chávez, singer Gloria Estefan, journalist María Elena Salinas, columnist Juan Gonzalez, former Congressman Charles Gonzalez of Texas, Bronx politician Herman Badillo and many more. LATINO AMERICANS is a completely bilingual project that includes a companion book by Ray Suarez, Chief National Correspondent for PBS NEWSHOUR, a nationwide public engagement initiative, and digital engagement and public education campaigns. A preview of the series is available at pbs.org/latinoamericans. The public can join the conversation by using the project hashtag #LatinosPBS on Twitter. PBS’ surprise-filled new series GENEALOGY ROADSHOW, which premieres Monday, September 23, 2013 at 9:00 p.m. ET, features the fascinating stories of a diverse cast of participants on an emotional journey that uses history and science to verify family lore. A Detroit woman, for instance, wants to know if her great-grandfather rode with Pancho Villa and if her family was one of the first Mexican families to settle in Ann Arbor, Michigan. A Hispanic woman in Austin wants to learn whether she has a connection to the “Daughters of the Republic of Texas.” Still another woman wants to establish a family relationship to Ponce de Leon. The programs feature participants who have unique claims and storylines, with each individual’s past linking revealing the rich cultural tapestry of America. As evidenced in LATINO AMERICANS, Latino influence is booming in entertainment. In October,President and Mrs. Obama host a concert spotlighting an array of Latin music. IN PERFORMANCE AT THE WHITE HOUSE “Musica Latina” features artists Natalie Cole, Lila Downs, Gloria Estefan, Raul Malo, Ricky Martin, Prince Royce, Arturo Sandoval, Romeo Santos, Alejandro Sanz and Marco Antonio Solís, taped in the East Room. The program airs Tuesday, October 8, 8:00-9:00 p.m. ET. AUSTIN CITY LIMITS showcases the best in Latin music when Colombian superstar Juanes and Mexico City’s Jesse & Joy lead off the series’ 39th season. Juanes presents a high-energy set of his best, while sibling duo Jesse & Joy perform a selection of their greatest hits. “Juanes/Jesse & Joy” airs Saturday, October 5, 9:00-10:00 p.m. ET (check local listings) and will be available online the next day. On TV’s most famous street, the Muppets celebrate Spanish language and culture. “Latino Festival” airs Thursday, September 19, during the opening week of SESAME STREET’s 44th season. Shortly after Hispanic Heritage Month, INDEPENDENT LENS presents “The Graduates,” a two-part examination of the roots of the Latino dropout crisis and the ongoing effort to increase graduation rates. Airing Mondays, October 28 and November 4, 10:00-11:00 p.m. ET, these student profiles offer a first-hand perspective on the challenges facing many Latino high school students. Also in October, PBS Digital Studios celebrates the cultural phenomenon of ¿QUE PASA, U.S.A.?, its first and only sitcom produced exclusively for PBS in the 1970s. Music and video remix artist John Boswell (a.k.a. MelodySheep) releases a new spin on the iconic show, with a behind-the-scenes look at his artistic process. The launch includes a series of lively and interactive social media-based activities. PBS nominees for the 2013 Imagen Awards, which recognize positive portrayals of Latinos in entertainment media, included VOCES ON PBS “Tales of Masked Men” and MARIACHI HIGH; POV’s “Sin Pais,” part of the 2013 PBS Online Film Festival, won in the Best Theatrical Short or Student Film category. In honor of Hispanic Heritage Month, PBS will offer encore broadcasts of VOCES ON PBS and MARIACHI HIGH, along with IN PERFORMANCE AT THE WHITE HOUSE “Fiesta Latina,” INDEPENDENT LENS “The Longoria Affair” and JOHN LEGUIZAMO’S TALES FROM A GHETTO KLOWN. Examine the rich and varied history of Latinos in the United States. Follow participants on a journey that uses history and science to verify family lore. Celebrate Latin music with President and Mrs. Obama in the East Room of the White House. Join Colombian superstar Juanes and Grammy-winning siblings Jesse & Joy for the best in Latin music. Enjoy a street festival on Sesame Street, celebrating Spanish culture and language. Examine the roots of the Latino dropout crisis and the ongoing effort to increase graduation rates. Join President and Michelle Obama for a White House concert in honor of Hispanic Heritage Month. Learn how Private Felix Longoria’s burial helped launch the Mexican-American civil rights movement. Get a behind-the-scenes look at one of the industry’s most versatile actors: John Leguizamo. Spend a year in the life of the champion mariachi ensemble at Zapata High School in South Texas. Celebrate the rich diversity of Latino life in this showcase of outstanding documentaries. Ride with a gutsy team of women rodeo riders vying to represent the U.S. at competitions in Mexico. View the turbulent history of Castro’s Cuba through the prism of the Cuban National Arts Schools. Follow Lemon Andersen’s quest to take his life story to the New York stage while battling his demons. Experience the story of Loreta Velasquez, who secretly fought for the Confederacy in the Civil War.